Factors like increasing health care costs, the Affordable Care Act, and the looming “Cadillac Tax” are affecting the way employers look at employee benefits. The recent Benefits Selling’s 2015 Employer Survey revealed a lot of notable trends. Here are some of the findings from that survey, in infographic form. This information will give you an idea of what other employers are doing in light of many of the current changes. You can also read the full article from LifeHealthPro here. As you can see, health care costs are increasing for most, even if only slightly. As a result of rising costs, many employers are offering consumer-driven plans and other options such as health savings accounts. 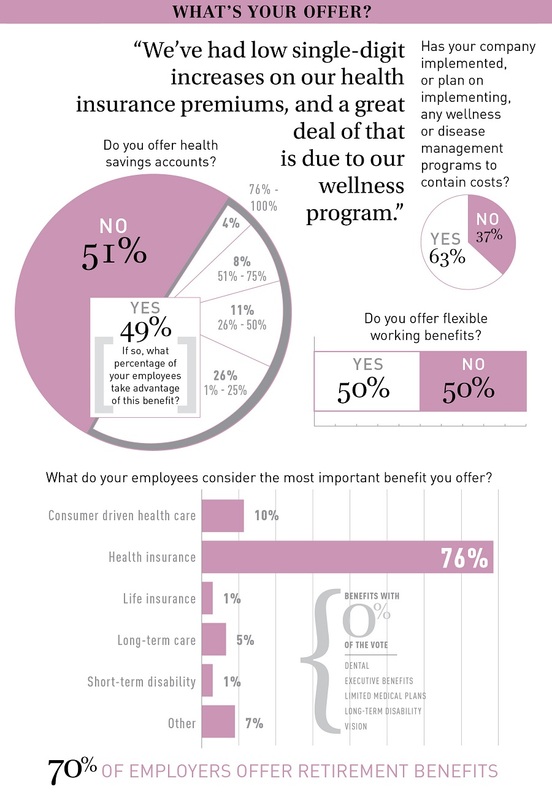 Wellness programs and voluntary benefits are increasing in popularity, however over 3/4 of employees still value health insurance over all else. Employers still find that brokers are a valuable tool for helping deal with benefits, not only during open enrollment, but also throughout the year. 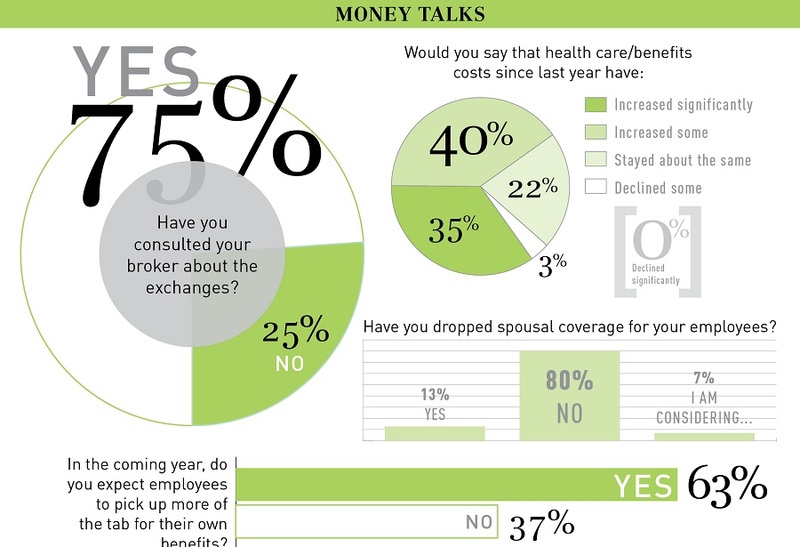 Only about 1/5 of employers have considered moving their employees to public exchanges, but the PPACA is causing many employers to rethink the benefits they’re offering. What about you? Do these answers match how you’re feeling amidst the changing climate of employee benefits? If you have questions about your options, we can help. Contact Sequoyah Group today.